They include the already BleedingCooled Animal Man #1 by Jeff Lemire and Swamp Thing #1, writted by Scott Snyder. 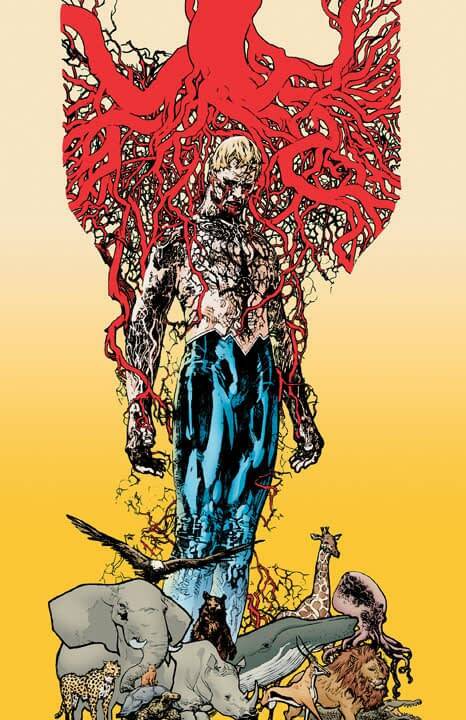 Then there’s also the BleedingCooled Justice League Dark #1 teaming up John Constantine (really? ), Deadman, Shade the Changing Man and Madame Xanadu written by Peter Milligan. Then there’s another new book, Demon Knights #1, superheroes in medieval times, written by Paul Cornell. And Frankenstein, Agent of SHADE #1 again written by Jeff Lemire, SHADE standing for The Super Human Advanced Defense Executive, from his Seven Soldiers mini-series.